You walk through them every day, but when was the last time you gave your doorways any attention? Your doors, just like any other part of your home, need repairs, maintenance, and the occasional replacement. However, too often, they go ignored. When you consider how important they are, both for your personal safety and for the general appearance of your home, your doorways are the last thing that should go unnoticed. Listed below are some helpful points to keep in mind for yearly door upkeep and maintenance. The paint used on your door may be weatherproof, but that only lasts so long. The elements can take their toll, and even if your door was guaranteed with a lifetime warranty, things can still happen. Check for hairline cracks in the finish, and look for any uneven areas in the paintjob. For some issues, you may be able to get away with doing some simple touchups, but for others, some sanding may be involved. This can be a big thing for those of you who live in areas where the weather gets really cold or really hot. Homeowners tend to lose the brunt of their heating and cooling through their doorways, and if their weather-strips aren’t in place, or haven’t been done properly, this can cost you a fortune on your power bills. Check the weather-stripping, and if necessary, pick up some replacements from the hardware store. This is a cheap and easy fix that can save you hundreds over the course of the year. In the fall, you will want to make doubly sure that your door has good stripping and a tight seal. Make sure any screws you have are tightened, and that you have some kind of insulation buffer for your floor. Often times, people will have some kind of wool strip, pillow, or other block running along the bottom of their doorway. This is to help keep the elements out and to ensure your home stays warm. Much of the same prep for fall can be applied in the spring. Again, you want to make sure your air conditioning isn’t leaking out of the house, so make sure your seal is tight and secure. Also, this is when the worst storms have a tendency to hit, so check the strength of your deadbolt. Finally, after a long winter, you will want to recheck your screws to make sure your doorway is secure. Your knobs and locks can loosen over time, so take the time to refasten them. Also, if your doorway has bent or bowed, you may want to consider replacing your locks or your deadbolt to make sure you have a solid way to keep your door secure. Again, staying secure is important, both for your safety, and for your power bills. Check your deadbolts and locks, and give your door a push to see if there is any give. If you have an alarm system on your doorway, check it to make sure it’s still in working order. If your doorway does seem to be deteriorating and you’re looking to replace it, consider investing in a metal door with a pleasant finish. Your doors may not be something you think about often, but considering its importance to your home, it deserves some maintenance and care. For your safety, and for the added value it brings to your home, give your door a yearly checkup. Need to call in a professional? 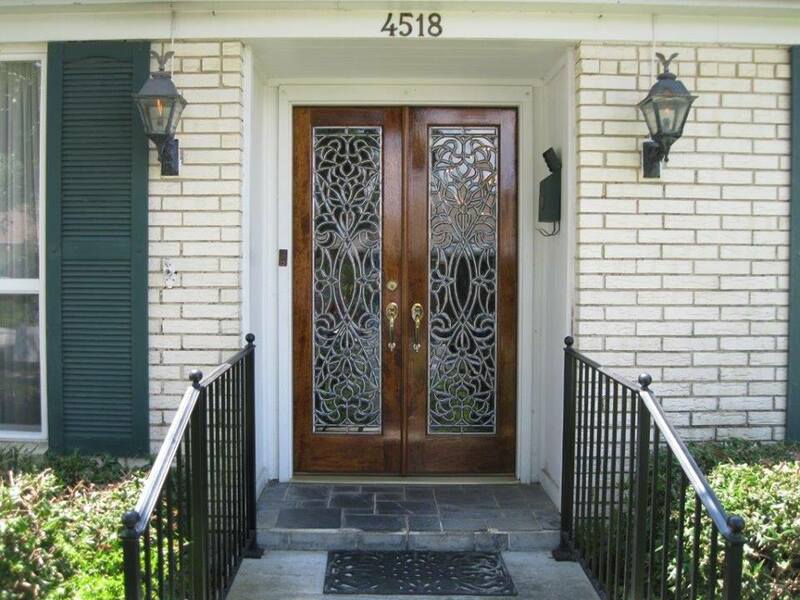 Call Doors of Elegance about their refinish service and schedule an appointment today, (504) 887- 5440.